1.HIGH KNEE JUMPS :- For this easy exercise,stand straight with your feet hip-width apart,place your palms in front of you,hovering just over your belly button.and start bringing your knees up alternatively so as to touch them with your palms with about 50 reps as quickly as you can. 2. WIDE AND NARROW SQUAT :- Stand straight with your feet and fist clasped,bend down the way you would in a normal squat and when you get up,rise with your right leg a little wide apart and bend down again.Then come back to the first position to do this on the other side,repeat it 30 reps.
3. ALTERNATE TOE TOUCH :- To perform this,stand straight with your feet apart and hands straight out on both the side,bend and touch your left feet with your right hand and come up.Then touch right feet with left hand with repeat of 30 reps.
4. MOUNTAIN CLIMBERS :- Get on your fours with back and legs straight,hands right below your shoulders,start moving legs the way you did in high knee jumps,with repeat of 50 reps.
5. BEAR CRAWLS :- Get down on your fours with your arms straight,exactly like you would in a downward dog position,start crawling forward with your feet at the same place and hands moving forward one by one.Then come back to the first pose and repeat 10 times. 6. PLANK JACKS :- Take the plank position with your elbows on the ground,open your legs wide apart with a jump and close them with speed and repeat it 20 reps.
7. FLUTTER KICKS :- To perform this lie down on the floor with your back straight and hands by your side,lift your neck,shoulders and head a little up the way.Start moving your legs alternatively as high as you can.Repeat it at about 25 reps.
8. CRUNCHES :- Lie down on your back with your back straight and hands by your side,take your legs straight up and bend them from the knees making a 90-degree angle,clasp your hands behind your head and curl up come forward so that your neck,head and shoulders lift off the floor.Gently pull your abdomen inward.Hold on at the top and get back gently on the floor with repeat of 25 reps.
1.BRIGHTER WORLD :- Getting up early in the morning insists you with positivity.Research has suggested that people who got up early in the morning were happier,not just for a short duration but overall in life. 2. BIGGER SCORES :- Students who were early risers scored better grades than those who were late to rise.Their GPAs were higher than the latter.One can link it to an enhanced productivity and quality of sleep. 3. MORE PRODUCTIVITY :- Early rising gives a kick start for the day ahead and allowing more hours for work,it also boosts speed.When a man gets up early,he is more time to do a task that would take more time otherwise.He is also more adept in taking better decisions,planning and achieving goals. 4. REDUCES STRESS LEVEL:- The very significant benefit of early rising is reduced stress level.When you get up early,it eliminates the need to rush in the morning.You can then start your journey of the day on an optimistic note and such positivity often stays with you throughout the day. 5. BETTER SLEEP QUALITY :- EARLY TO BED EARLY TO RISE.The early risers go to bed early.Getting up early is not something that should be followed irregularly but it needs to be established as a routine in life.This translates in to better sleep quality clock adapts to your new sleep routine. ; Power Yoga is very fast-paced,popular among youngsters for the adrenaline rush it gives instead the traditional form of yoga.Power yoga helps in building stamina and helps in losing weight instantly. 1. Flexibility :- Power yoga because of the aerobatic energy it exudes,takes flexibility game to the next level. 2. Enhances Concentration :- It is known to improve the ability to concentrate in human beings and also sharpen their memories.After a quick power yoga session,the mind is in a relaxed state,which in turn allows the brain to function at a lightning speed and give undivided attention to the things that matter. 3. Power to Endure :- There is always a limit to what minds of a person and bodies can endure.If you want to push your boundaries,physically or otherwise incorporate power yoga in to your daily routine. 4. Power Yoga Makes Sleep Well :- Power yoga really intense and is a perfect blend of stretching the body and relaxation for mind,which helps in getting proper sleep at night. 5. Pose Correction :- Although power yoga is fast-paced and filled with energy,power yoga is a great way to correct one's traditional yoga poses.So if you have been doing it wrong all this while,you know what to do to make things right. It is found from a research study that those who exercised and consumed fruits and vegetables,low fat diary products,beans,nuts had greater improvements compared to health education controls. HEALTHY DIET AND EXERCISE IMPROVE COGNITIVE SKILLS. Cycling or walking is a good exercise.Only 35-40 minutes of cycling or walking three times a week along with a healthy diet can improve cognitive skills in older adults.A study that published in the journal Neurology,which examined the effects of both diet and exercise on cognitive skills.For the study the team included 160 people with an average age of 65 and randomly assigned them to one of the four groups,DASH diet alone,aerobic exercise alone,both DASH diet or health and aerobic exercise which consisted of educational phone calls once every week or two. The team of research found those who exercised and consumed the dietary approaches to stop hypertension diet that is rich in fruits and vegetables,nuts beans,whole grains,lean meats,low-fat dairy products had greater improvements compared to health education controls. The results are encouraging that in just six months,adding regular exercise to their lives,people who have cognitive impairments without dementia improve their ability to plan and complete certain cognitive tasks. 1. RUNNING AND CYCLING :- Both of these can help in burning lots of calories.If you are running on a treadmill or cycling on a cycle at the gym,make sure that you do it suitable speed and resistance to be able to help you burn calories. 2. SWIMMING :- It helps the people with knee troubles can resort to swimming for burning calories and weight loss.Slow freestyle laps for around half an hour can burn as much as 255 calories in one session.The breaststroke or butterfly stroke can burn over 400 calories in half an hour. 3. CROSS FIT WORKOUT :- It involves different routines everyday in order to maximise the number of calories burn in a day.Here includes both aerobic as well as weightlifting.It is a highly effective fitness regimen for weight loss. 4. 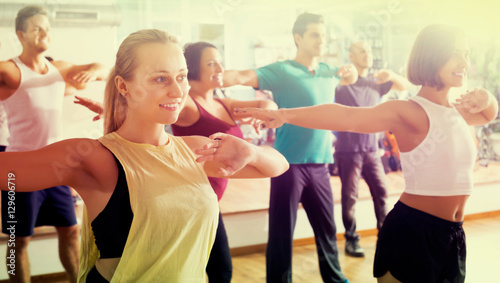 ZUMBA AND AEROBICS :- Zumba and aerobics are essentially dance-based workouts that can help in burning around 250 calories or more in a span of half an hour or more. 5. 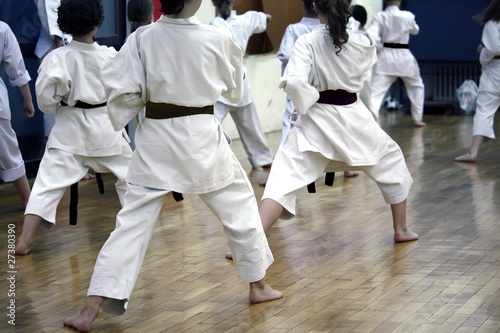 MARTIAL ARTS :- It is just like a form of training which can improve overall fitness and help in burning lots of calories.In fact it is quite an exciting and empowering form of fitness. 6.POWER YOGA :- This yoga is done at a comparatively faster pace and can help in burning calories for weight loss instead of traditional yoga.It includes more demanding yoga in more number of reps to be done at a faster pace. 1. PROTEIN RICH DIET :- Proteins contain essential amino acids which beneficial for muscle strength and tissue repair.They curb the hunger pangs and prevent to overeat in the next meal.Milk,chicken,cottage cheese,nuts and eggs are some protein rich foods which should include in diet. 2. CHEW FOODS SLOWLY :- Chewing foods slowly helps a lot to lose weight really.It can help feel full for longer with fewer calories.This is a simple way to lose weight and keep it forever.So we must imagine the importance of the way we eat food. 3. USE OF WATER :- Drinking water like adequate water throughout the day is beneficial for weight loss.Try to sipping in water and other fluids throughout the day .But ensure that these fluids should not include energy drinks and other sweetened beverages.Use to drink water right before the meals may help you eat fewer calories. 4. 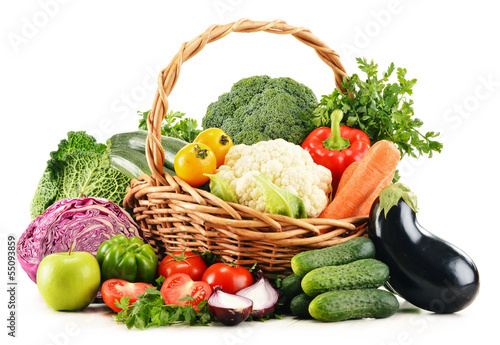 FIBER RICH DIET :- It is automatically linked to weight loss as it keeps satiated for a long time.Fiber is particularly helpful in reducing the appetite and food intake.Fiber aids in the process of digestion.Fresh fruits and vegetables are rich in fiber. 5. AVOID PROCESSED FOOD AND SUGARY DRINKS :- Packaged and sweetened beverages have been linked to weight gain.So these foods are loaded with preservatives and added sugar with no nutritional value.That is why it should be limited. 6. SLEEP WELL :- Try to sleep well at about 6-8 hours a day and manage stress levels.Poor sleep and excess stress may create imbalance between several important appetite regulating hormones.This in turn leads to overeating. 1. STAIRS :- It is the easiest workout,to perform it wake up early in the morning.Avoid the elevator and use the staircase when you reach office.Squat on each step to burn extra calories. 2. BICYCLE :- You can use bicycle way to office,the reverse pedaling can be an interesting way to burn some calories.You can start adding a little weight on the handles of your bicycle,if you want to be even more innovative. 3. WALK TO WORK :- Start to your working place on foot,if the working place is nearby place.You walk the whole way,start with one minute of lunging as you walk,they do not have to be deep lunges. 3. BACKWARDS WALK :- This is an interesting way to burn calories is walking backwards for half a minute,just ensure that there is no traffic behind you while do so.Always use stairs whenever you get the chance on the street. 4. SQUATS :- You can do seat squats if the metro is relatively less crowded,and can repeat it the same more than 3 times. 5. IN METRO :- To adjust yourself do not ask people to squeeze a little.Give up that seat and start with something as subtle as 5 set of calf raises. 6. IN THE CAR :- It is possible to work your muscles and burn calories even your driving and can develop your muscle tone while driving by wearing some weight on your arms. 7. DRIVING :- Driving increase the resistance on your arms the whole time you are driving.It helps you to increase muscle composition. 8. CYCLING :- To work your lower body,start cycling.It will increase the resistance and work on your quads,hamstrings and glutes. Breakfast is the most important meal for the day.It helps restore glucose levels,uplift mood,include energy and facilitate weight loss goals.So it is important that the breakfast you take must be in high protein based,if you are willing to lose weight ,because protein induces a sense of satiety and helps in reducing levels of the hunger hormone ghrelin,which helps check cravings. 1. MILK :- Milk and diary products make a good source of protein.Milk has high amounts of Vitamin B3,which help maintain a steady weight.The conjugated linolenic acid in milk help burn fat. 2. FRUITS :- Banana,guava,kiwifruit,avocados and apricots are high protein fruits,these can make for an excellent addition to your weight loss friendly breakfast.You can use them raw or to top yogurt and porridge. 3. OATS :- These are high in protein and a rich source of fiber based,which takes long to digest and break down,makes you feel full for long.Naturally you would binge-less,if you are full for a longer spell. 4. EGGS :- These are the best source of bio available protein.These are enriched with fat soluble vitamins,which make them ideal for anyone looking to lose weight.Poached eggs are a good breakfast idea,you could also have them scrambled with veggies of your choice. 5. NUTS :- Cashews,walnuts,almonds are a rich source of protein along with omega-3 fatty acids,which are essential for healthy brain and heart.One can munch in to a handful of them raw and can top cereals with it.You also can blending smoothie,which is a good option. You would love to know how much beneficial GHEE is for the skin but it must good and old.A number of people also like to eat ghee in food. 1. WRINKLE FREE :- Ghee helps the skin look more youthful.Vitamin E present in ghee promotes anti-aging.So eating ghee on a regular basis will help the skin remain young and wrinkle free. 2. END OF DRY SKIN :- Ghee can come to your rescue,if you fight dry skin all year around.Take a drops of ghee and apply on your skin,just massage the ghee for a few minutes and it will soon develop a protective coating that will heal the dry skin and prevent the skin from drying in future. 3. GOODBYE DULL EYES :- You need to grab a jar of ghee and apply a few drops of it around your eyes if you suffer from dull and tired eyes,but make sure that the ghee does not land inside the eyes.Regular massage of ghee around eyes will make your eyes seem brighter than before. 4. SHINY LIPS :- Ghee is a natural lubricant,it does the amazing job of keeping lips shiny and soft. 5. BEST BATH OIL :- You can make best bath oil from ghee.If you are fan of bath oils,may try this bath oil for sure.Take 4-5 tablespoons of ghee and mix it with 10-12 drops of your favorite essentialoil.Apply a few drops of this oil on your body after taking bath and you will be left with the softest skin ever. 1. The skin needs hydration from the inside,out.A little warm water with lemon can be very refreshing and hydrating at the same time.But we tend to drink less water in winter,we turned to hot drinks like tea,cocoa etc.It is not good the skin. 2. Use Lukewarm Water :- When washing your face or hands use lukewarm water to avoid stripping .as many oils away from the skin.Hot showers and baths are always feel good in winter. 3. Moisturize Immediately Afterwards :- Skin needs more moisture,so moisture right after wash.Applying moisture to damp skin helps seal that dampness in to the skin.Keep a bottle near the bathtub,shower and at every sink and use liberally every wash.
4. 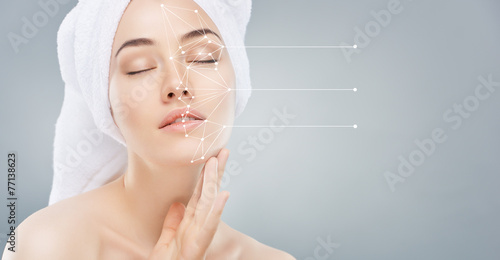 Carefully Choose the Moisturizer :- Choose a smart formula that has natural,nourishing ingredients.Avoid petroleum based ingredients which actually further dry your skin in the winter.Go for an oil based rather than a water based solution,as it's more likely to help your skin retain moisture in the winter. 5. Protection :- Use gloves and scarves to protect skin from cold winds,rain,snow and sunscreen.Winter sun is damaging instead summer sun,so apply a safe option like zinc oxide or titanium dioxide to any exposed areas. 6. Humidity :- Heating systems dry the air,so consider installing a humidifier in your home,specially in bedroom,to put moisture back in to the air and help prevent your skin from drying out. 7. Moisturize Overnight :- Dry areas like feet,hands,knees,elbows,have thin skin and tend to lose moisture faster than other areas on the body.Consider slathering on a deep moisturizing balm.Skin Food by Weleda at night,then wear cotton gloves and socks to steal in the moisture until morning. 8. Exfoliate :- Use exfoliating mask on face and hands as well as gently on lips,then follow immediately with moisture to truly see a smoother difference.Exfoliating body washes are also helpful in the winter season. 9. Avoid Toxins :- If you have eczema dermatitis or psoriasis,avoid allergens and irritants that may trigger a flare up.Winter skin is more fragile,so avoid irritating fabrics like wool and chemical laden detergents and use mild cleansers and moisturizers designed for sensitive skin.Glutathione is considered the master anti oxidant and helps body detox. 10. DIY Masks :- Homemade hydrating masks can provide needed moisture in the winter.Use natural moisturizing ingredients like avocado,olive,honey,yogurt,almond oil,aloe,jojoba oils,bananas etc.Mix what you like to create a cream or paste and leave on skin for 15-30 minutes for lasting hydration. 11. Change Cleanser :- Use like Suki Naturals Moisture Rich Cleansing Lotion,or for really dry skin,try a cleansing balm like Ren No.1Purity Cleansing Balm.After cleansing don't leave the skin nacked for more than 30 seconds as this can dehydrate it,leading to increased dryness.Apply a hydrating toner and moisturizer to seal in moisture. 12. Hydrate From Inside Out :- Eating foods high in water content can help hydrate skin from the inside out.Try apples,watermelon,oranges,kiwi,cantaloupe and watery veggies like celery,cucumber,tomatoes,zucchini,carrots etc.Make sure that there is enough vitamin C and zinc to support the healthy production of collagen and elastin and also consider Be Well's omega-3 supplement,or consume more fatty fish and flaxseed to give your skin the building blocks it needs to appear supple and smooth. Anemia is caused by iron deficiency.To fuel the iron in the body ascorbic acid acts as a carrier.Ascorbic acid or vitamin C rich fruits can help in regulating iron intake and eventually increasing the hemoglobin. 1. BANANA :- It is surprisingly good choice to include in iron rich fruits,which stimulates the production of hemoglobin in the blood.Banana is also a good source of folic acid which is a B-complex vitamin that is required to make red blood cells. 2. POMEGRANATE :- It is one of the best fruits for boosting blood count,which is rich in source of vitamin A,C,E and iron.The ascorbic acid present in this fruit boosts the iron content in the body regulating the blood count.One glass of its juice is any day is better than processed juices. 3. PURNES :- These are dried plums and considered to be a small package with great value.It has vitamin C and iron which is the key to boosting hemoglobin.It is a rich source of magnesium,which leads to significant increase in the stimulation of RBCs.Magnesium manage oxygen transportation in the body. 4. APPLE :- It is said that an apple a day,keeps the doctor away.Apple has many health promoting properties which is rich in source of iron with various other health friendly components that are required for stimulating hemoglobin count. Add at least one apple along with its skin daily. 5.PEACH :- It is rich sources of vitamin C and iron,where in vitamin C helps in absorbing iron and further prevent the duplication of faulty red blood cells.It has been credited with including weight loss,improving the skin and boosting eye health too. 6. ORANGE :- Oranges are power packed of vitamin C.So,iron can not be fully absorbed by the body without the help of vitamin C.That is why load up on at least one orange every day in order to get the desired results. 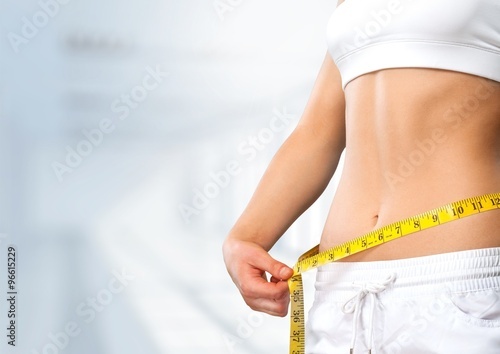 Everybody want a flat tummy for looking beautiful shape meant a toned body,but without a flat belly it is impossible to make a healthy,strong and toned body as wanted.It is trickier but not impossible if some things that you need to incorporate in your workout routines to meet your goals.Here are some of the best diet and fitness tips that will enhance weight loss and fat burning while adding muscle.Following are the simple diet and workout tips every man should know to stay fit and healthy.Have a look below and try to include it in your daily routine to achieve your goals. 1. SUPPLEMENTS :- Proper supplements are considerably less important than diet and workout,but it is popular belief that supplements do not build great physiques like proper training and nutrition do,finding the right supplement for you can play a role in preserving muscle loss.You should not to go with the advertisements and shenanigans,find the right supplement and do proper research before you invest in supplements. 2. SLEEP BETTER :- Sleep is one of the most undermined parts of workout regimes but it is far more important.Abetter 8-9 hour sleep can those wonders which spending 4 hours in the Gym will not.Experts says that not taking proper sleep increases appetite and make more prone to cheat on your diet. 3. MODERATE CALORIE DEFICIT :- You may be aggressive but not reckless in your calorie deficit.Stick to a high-protein diet and restrict calories.It will help you lose fat at the same time,your muscle loss will be negligible.Approximately 25%of calorie deficit to lose fat without hampering muscle gains. 4. CARDIO [HIIT] :- HIIT is just like of exercise where you alternate between periods of all out and reduced effort.If you want to lose fat as soon as possible and do not mind a challenge,then you want to do high intensity interval training.In case you are not familiar with this form of exercise.However,HIIT can help you to burn calories in a short period of time.This type of cardio will push your body to its limits getting maximum results and the intervals with low intensity will give your body the breathing room it needs to recover.It is scientifically proven that HIIT saves more muscle than normal cardio. 5. WEIGHTLIFTING ;- Involve multiple major muscle groups and the most whole body strength and effort for example deadlifts,squats and military press.This will help you gain maximum muscle and strength,but you should not do more than 2 hours of HIIT workouts in a week. This is a marvelous Yoga position that helps in calming,relaxing both body and mind which is known as inverted action,[Viparita Karani]. What is it and how to do? To perform this yoga pose,lie on back and put legs together,then start moving hips as close as possible to the wall and extend legs up the wall,ensure that your body is in an 'L'shaped position. 1. SOOTHE TIRED LEGS :- If you are in pain in legs,or swelling,hanging out the legs up the wall may be very effective in soothing the pain and swelling.It is especially helpful if your legs are tired after a long flight or in pain after staying in one position for a long time. 2. FEEL CALMER :- You will notice that it will quieten your mind,once you start performing this posture.This yoga pose relaxes body by focusing on deep breathing,which in turn helps to lower stress and anxiety. 3. RELAX PELVIC FLOOR :- It will naturally help in relaxing your pelvic muscles,if you stay in this position. br /> You will find yourself slipping in to bliss when you try it,since it is actually a deeply relaxing position.To reap on the benefits,you may put support under hips and strap your legs together. It will ensure that you do not need to put extra efforts to keep your legs up by the wall.When staying this position for a minute or two will do the job,hanging like this for about 10-15 minutes will actually do wonders for both body and mind. 1. LEG LIFTS :- Leg lifts work slowly and easiest,simplest workouts to do.At first you might not feel much effect but when you do and pace up speed,the belly fat will start to burn and provide you the expecting shape. 2. 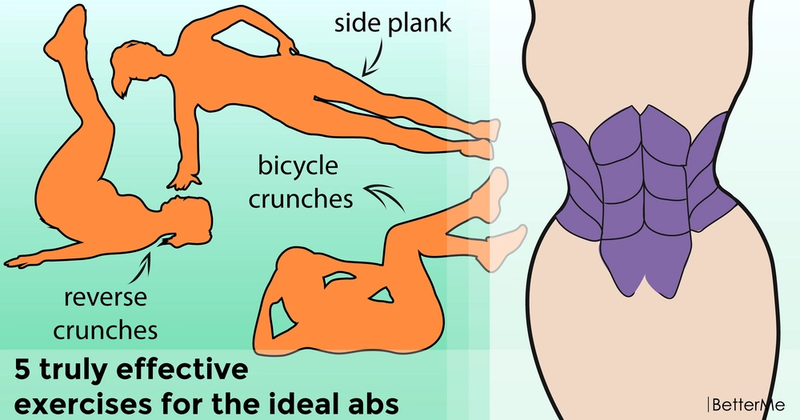 CRUNCHES :- These are the most effective exercises for anybody who are looking to lose weight.It can be performed in different forms,including side and butterfly position.Along with cardio,it helps build resistance in abdomen and target the stored up fat in the stomach area. 3. SIDE PLANK :- Side plank makes use the body's core strength,instead of the traditional plank exercises which use the support of all four legs.Planks help to build the abs and thus,can tone up the body and shape the stomach muscles,getting rid of the excess fat. 4. ALLIGATOR DRAG :- Alligator drag makes use of core body strength to stay stabilised and at the same time,adds additional movement when you move the body on the floor which can burn additional calories.The mixture of cardio,strength training will help to burn belly fat faster. 5. MOUNTAIN CLIMBERS :- It is just like an exercise which makes body work faster and harder,getting heart rate up and help in fat burning. It is very efficient when worked on the lower abs as well as the quadriceps,closing in on the problematic belly fat. 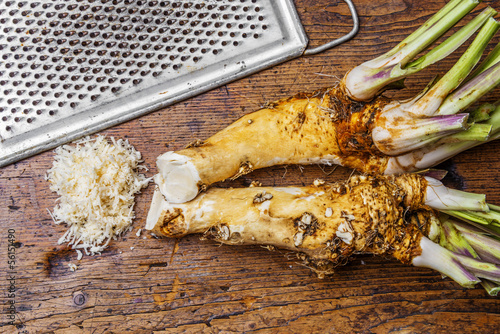 Inflammation is an essential and normal defence mechanism which protects us from infection,helps to repair damaged tissue and restore balance to our body. The faulty inflammatory response can result in a chronic,low grade inflammation which is associated with diseases like diabetes,cancer,heart problem,arthritis etc.These can develop for a multitude of reasons,including poor diet,lack of sleep and stress,low physical activity and smoking.But thankful to these anti-inflammatory natural ingredients as Pineapple,Dark leafy greens,Oily fish,Berries and Rosehips which will stop inflammation in its tracks. 1. PINEAPPLE :- Pineapples have long been used as a medicinal plant in around the world.It contain an anti-inflammatory compound called bromelain that has been used clinically as an anti-inflammatory agent in arthritis,colonic inflammation,chronic pain,soft tissue injuries and asthma.It may promote healthy glowing skin.You may try making an anti-inflammatory shot with the sweet fruit,juice a few wedges of pineapple adding ginger and a dash of pepper,with lemon. 2. DARK LEAFY GREENS :- Spinach and broccoli,kale,bok choy are brimming with vitamins like A,C,E,K and phytochemicals that can reduce inflammation by protecting cells from free radical damage.Vegetables like brussel sprouts,broccoli and bok choy contain sulforaphone which can block inflammation early on.The darker the greens the better.Pair greens with extra-virgin olive to help absorption of fat soluble nutrients. 3. OILY FISH :- Omega-3 fatty acids contained in fish.The components of omega 3 is known as EPA and DHA inhibit inflammation by interfering with pro-inflammatory immune cells.The best source of omega 3 is oily fish like mackerel,sardines,trevally,blue fin tuna and salmon whilst lesser sources including flaxseeds,canola oil,hazelnuts,chia seeds,walnuts,macadamias etc.For this anti-inflammatory benefits aim to consume fish 3-6 times in a week. 4. BERRIES :- These are bursting with antioxidants containing vitamin C,anthocyanins and carotenoids disease fighting compounds give berries their dazzling colors.These help the body to get rid of free radicals that promote inflammation in body.Collect fresh for the best taste and include a handful a few times a week. 5. ROSEHIPS :- It is known for skin care benefits,but it's powder form it is an anti-inflammatory powerhouse.These are a source of an abundance of vitamins including one of nature's richest source of natural vitamin C,antioxidants and phytochemicals.Much of the anti-inflammatory action of rosehip is attributed to a key phytochemical known as GOPO,Evidence based Rose-Hip Vital[R] with GOPO[R] is the only product formulated with this active ingredient and may support protect cartilage,reduce pain,stiffness,joint health and inflammation often associated with arthritis,and promote general overall well-being. The immune system defends against disease causing microorganisms and thus saves from getting sick,but sometimes immune system fails,letting an unwanted bacteria sneak in body which make one sick. You can change this simply by doing things which can boost immunity.Strong immunity is everything when it comes to prevention and healing. 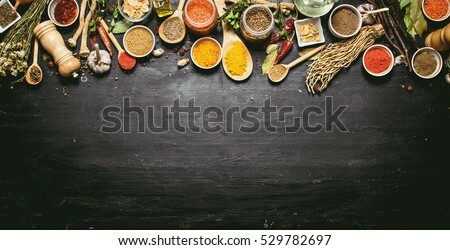 After taking these ingredients,Roast all these on a low flame except ginger and turmeric powder.Now cool all the roasted spices and grind them together,and add ginger and turmeric powder,mix them well.After preparing the powder store it in a clean airtight bowl. Take 1/2 tablespoon of it everyday with warm water,or you may use it sabzi,curry instead of garam masala.You may also add 1/2 teaspoon of this mixture to 1 tablespoon of heated Ghee and consume it everyday in the morning.Everybody can have this.But if you are on any medication,should visit doctor before consuming it.You should consume less than 1/2 teaspoon per day if you have gastric problem. Avoid smoke and alcohol.Have a healthy diet which includes 7 servings of fresh fruits and vegetables in a day.Maintain your weight,Exercise regularly,Wash your hands frequently and thoroughly.Cook your food properly as cooking kills the germs in the vegetables. 1. Strengthen the muscles around joints. 2. Help to maintain bone strength. 3. Provide more energy to get through the day. 4. Help to control weight. 7. It improve body and mind balance. Doctors or physical therapists may recommend exercises like Aerobic,Strengthening,Range of motion and other activities. 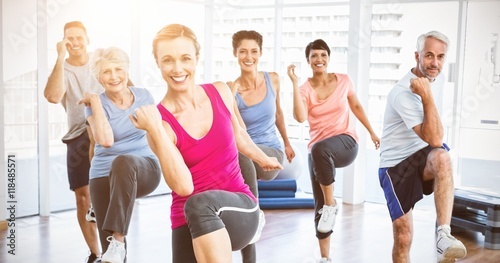 [a] Aerobic Exercises :- These exercises help overall fitness.They can improve cardiovascular health which help to control weight and provide more stamina and energy.Low-impact aerobic exercises that are easier on joints include walking,bicycling,swimming and using an elliptical machine.Try to work way up to 150 minutes of moderately intense aerobic exercises per week. Moderate intensity aerobic exercise is the safest and most effective if it is done most days of the week,but even a couple of days a week is better than no exercise.To determine if the moderate intensity exercise zone,you should be able to carry on a conversation while exercising though your breathing rate will be increased. [b] Strength Training :- These exercises help to build strong muscles that help support and protect joints.Weight training is an example of a strengthening exercise that can help to maintain or increase muscle strength.To avoid exercising the same muscle groups two days in a row.Rest a day between workouts,and take an extra day or two if joints are painful or swollen. [c] Range of motion exercises :- These exercises relieve stiffness and increase ability to move joints through their full range of motion.These exercises might include movements such as raising arms over head or rolling shoulder forward and backward in most cases,these exercises can be done daily. [d] Other activities :- Any movement no matter how small can help.Daily activities such as mowing the lawn,racking leaves and walking the dog count.Body awareness exercises such as gentle forms of yoga can help to improve balance,prevent falls,improve posture and coordination and promote relaxation. 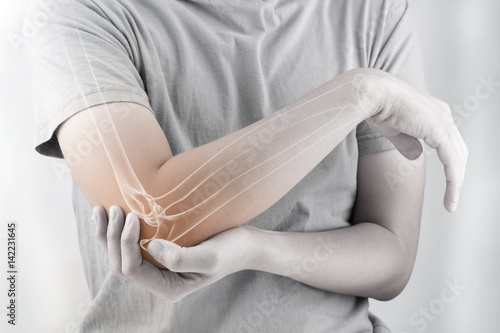 Here are some tips to protect joints :-1. DO NOT OVERDO. 4. KEEP THE IMPACT LOW. 6. ICE AFTERWARD. Apply ice on joints for up to 20 minutes as needed after activity especially after activity that causes joint swelling. Dietary supplements may be confusing or expensive and news reports about their effectiveness often change frequently. Studies have shown that vitamin D strengthens muscles and bones,regulates the function of different organs and helps fend off bone fractures and osteoporosis a medical condition in which bones become brittle and fragile from loss of tissue,typically as a result of hormonal changes or deficiency of calcium or vitamin D.
Vitamin D is vital in encouraging the absorption of calcium from the gut,which in turn facilitates bone mineralisation.It also helps reduce inflammation,improve mood and decrease the risk of heart disease. Generally,vitamin D is absorbed directly through sunlight,but it is not good news for an ageing population.When people reach the age of 50,the skins ability to synthesise vitamin D drops significantly.Under the age of 30 take vitamin D to help bones and joints develop and stay strong. Other important factors include a diet rich in protein,calcium and other vitamins and minerals many of which can be obtained from fruit and vegetables and regular physical activity.Then there is the importance of a sensible approach to exercise.The appropriate exercises can help slow down the deterioration.If exercising is painful then stop.It may be worthwhile getting a personal trainer who can help to set a realistic exercise programme.Keep weight down as carrying less weight means less loading on joints. Consider adding more protein to diet,with seafood white meat,beans,and eggs being among recommended sources. Finally,make sure you get enough of the all important vitamin D.It is necessary to get your blood levels of vitamin D checked if you are in pain,are suffering from injury,if you have a poor diet or are obese. For people of age 50 or above it is important to get enough sunlight because older bodies produce less vitamin D,but it does not mean you should get sunburned.Those people aged over 50 with who have less exposure to sunlight should take a daily vitamin D supplement of 2000IU.For adults under the age of 50 it should be the 1500 to 2000IU per day,and children and adolescents should take up to 1000IU a day. However calcium is important for bone development and maintenance,that even milk in your coffee or orange juice fortified with calcium can help. 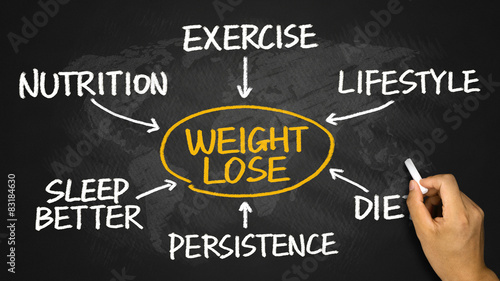 All fitness and nutrition experts agree that the right way to lose weight is to aim for a safe healthy rate of weight loss of one to one and half pounds per week.Short term weight loss is not healthy or sustainable over time.Regular exercise along with good eating habits is the most effective way to lose weight over the long term.It is the ideal way to ensure that the weight stays off. Extreme diets or starvation may result in rapid weight loss,but it can be unsafe and is almost impossible to maintain for most people.When food intake restricted severely the body begins to adapt to this state of poor Nutrition by reducing its metabolic rate,potentially making it even more difficult to lose weight.This also happens when dieters engage in fasting or skipping meals.It is also possible to experience hunger pangs,bouts of Hypoglycemia,Mood Changes from overly stringent Dieting and Headaches.These health problems can result in binge eating and weight gain.Since a highly restrictive Diet is almost impossible to maintain for a long time,people who attempt to starve themselves thin often start to gain weight again when they stop Dieting and resume their former eating habits. [d] High calories from fat,such as many fast foods. [e] White bread and pasta. Remember,when you do succumb to temptation keep the portion size small and add a bit more exercise to your daily workout. You will be cutting back on calories by replacing some unwise food choices with healthy ones.If you add some moderate physical activity,you have the protect plan for losing weight without the need for special diet plans.It is important to follow healthy eating guidelines in general,even after you have lost the weight.It should include sufficient amounts of Protein,Vitamins and minerals with limited amounts of fats and sugar. For upper body perfection most of all often hop from one workout routine and supplement to the next,with nothing to show for it except some marginal gains.The workout that will get upper body strong and lean without weights to fork out savings on a gym.This workouts increase overall strength and decrease the risk of injury,create a more symmetrical build,also improve core strength for everyday functional fitness. 1. Diamond push-up for Chest and Triceps :- To perform it start in a push-up position,bring hands together to form a Diamond shape by chest over the diamond shape whilst keeping elbows tucked in tight then start push-ups.If you feel this too hard,drop on to knees and keep going.Repeat it 10-15 times. 2. Tricep Dips :- To perform it start by placing hands on to a bench or step behind you,extend legs out in front of you to make it harder or bring them in closer to make easier.Ensure that your lower back is close to the step or bench then lower your body down until shoulders are just past elbows and push back up.If you want make it harder,try elevating your feet.Repeat these exercises 2-3 days in week 15-20 repetitions,with the goal of making it harder when you can comfortably complete the allocated repetitions with good form and technique. 3. The Dirty Dozen for Chest and Shoulders :- Do 12 push-ups and then kneel up on to both knees and perform 12 shoulder presses.Start with hands by shoulders and press up above head.Then repeat completing 11 push-ups 11 shoulder presses and continue witout resting whilst reducing each set by 1 to finish at 0.At last complete 12 push-ups and 12 shoulder presses and then take rest. 4. Strength Band Pull-Ups :- Loop the strength band over a bar.Pull the band down and loop and loop over knee.Hold the bar just wider than shoulder width apart to start.Pull your chin up to the bar whilst squeezing shoulder blades down and together by repetitions of 8-10 times. Last but not least,slow the repetitions down,increase the number of exercises back to back with little rest,increase the amount of repetitions on each exercise. As the people becoming Age,there are two forms of exercise which are most important to focus on,Aerobic exercise and Cardio,which gets heart pumping and sweat flowing and Strength Training which helps keep Aging muscles from dwindling over time. 1. JOGGING :- Aerobic exercise such as Jogging may help reverse some heart damage from normal aging.Aerobic exercises may guard against age related decline because of reduction brain connectivity.When people become age,the brain and any other organ begins to work less effectively,so signs of decline start to surface.The memory might not be quite as sharp as it once was.Older people who develop Alzheimer's disease often first enter a Stage Known As Mild Cognitive Impairment,which involves more serious Problems With Memory,Judgement and Language. 2. CYCLING :- Cycling may protect immune system from some age related decline.It strengthen the muscles and lower levels of body fat and cholesterol.The thymus glands of the cyclists looked as if they belonged to younger people,their bodies were producing just as many T cells as would be expected for a young person.Encouraging people to commit to regular exercise throughout their lives is a viable solution to the problem that we are living longer but not healthier. [A] WALKING AND SWIMMING :- There may be a powerful link between walking and swimming,and a lower risk of dementia.Regular walking and swimming help to lower risk of heart problems. [B] PLANKS AND SQUATS :- Other types of strength training can include moves by planks and squats.Its most basic strength training involves using weight to create resistance against the pull of gravity.That weight can be own body,barbells,dumbbells,weighted ankle cuffs and elastic bands. [C] TAI CHI :- Strength training moves such as tai chi are the best for preserving muscles from age related decline.Resistance or strength training can take many forms but typically involves a series of movements geared toward building or preserving muscle.Tai chi is a Chinese martial art which combines a series of flowing movements,is one form of strength training.This is performed slowly of focus and attention paid to breathing deeply. [D] BETTER LOOK AND SKIN :- Cardio exercises may improve the look and feel the skin soft and shining with strengthening and developing the core power lower and upper body respectively.Thus helps to stave off the effects of aging. The 29th September,this day is celebrated as the World Heart Day every year by with aims to increase awareness about heart problems.Cardiovascular diseases including heart stroke and attack are a serious matter as they cause million deaths each year.Amazingly Cardiovascular Disease is a preventable condition and the tried-and-tested methods of eating a healthy diet and exercising can do a long way in protecting from it. 1. EXERCISE :- Regular exercise can help to lower risk of heart diseases.Running,walking,jogging, yoga etc.are very useful for healthy heart,but before doing it consult there need to consult a doctor. Fitness Expert Can Opt for a high intensity exercise routine for protection from heart disease.Engaging in high intensity exercise in youth can lower blood pressure and risk of developing heart disease later in life.Excess heart age is lowest among adults who sleep 7 hours out of 24 hours. 2. NEVER SWEAT THE SMALL STUFF :- The type A people are prone to get stressed out which can causes a spike in hormones such as adrenalin and cortisol that influence the heart rate and blood clots.Instead of it try to see the silver lining and laugh more which will release feel good endorphins. 3. EAT HEALTHY :- Mediterranean diet which is lower risk of stroke and protect from potential heart problems.Study shows that the diet reduced the onset of stroke by 17% in adults with women seeing a greater reduction of 22%.Moreover,you can also consume chia seeds which cut down cholesterol from the body and blueberries to reduce risk of heart disease. 4. SLEEP WELL :- The excess heart age is lowest among adults who sleep 7 hours of 24 period.So stick to the 7 hours mandate though because sleeping more or less than that can be counterproductive and increase heart age according to studies.Catch the forty winks because they can keep heart young and healthy. 5. AVOID SMOKING :- Hench smoking increases the risk of heart damage Exposure to Secondhand Smoking is not Healthy.Smoking can increase the risk of strokes by about 20 to 30 percent. 6. MANAGE DENTAL HYGIENE :- Heart disease linked with gum disease as it is caused by bacteria which can enter the bloodstream and damage blood vessels.It can also cause blood clots that eventually result in heart attacks.So consult with doctor regularly and brush teeth politely wit flossing twice a day. 7. MAINTAIN SALT :- Sodium is vital in maintaining blood pressure ,but Excess Intake Of Salt Can Raise Blood Pressure Levels.High blood pressure in turn can strain heart and blood vessels. Therefore,it is the best to avoid eating foods that are high in salt,be it frozen foods canned or processed. According to experts Pilates is complementary to exercises.It is not going to provide Cardio vascular benefits but an addition to exercise.It is not bearing a weight exercise,It focuses on core strength abs,hips and back. Pilates was originally devised by Joseph Pilates and he was basically unfit and unhealthy.That is why the exercises he devised were to strengthen his body and core.These are based on the movements that the physiotherapist would instruct.Pilates exercises are meant to heal and were performed on the mat. Pilates help him/her that can not stand due to a back injury to get back on their feet since one can do Pilates while lying on the back.These can strengthen core muscles and help to get a better posture and the best part is that with Pilates,exercise all the muscles group including the small muscles which tends to get ignored with weight training. To perform Pilates you need to warm up for these and cool down too just like any other exercise.You exercise all muscle group with Pilates.You are not bulking up with Pilates,but get a toned physique instead.It needs to be practiced in a gym especially if you practice Pilates on a reformer.Mat exercise can be practiced at home You need to do Pilates 3-4 times in a week according to experts. It is well known that regular exercise followed with a healthy Diet leads to effective Weight loss.A workout circuit when repeated three to four times a day along with a healthy Diet plan can help to lose almost 4 kilos in a month. 1. BURPEES :-It is just like an exercise which can help you with be it weight loss,stamina,or endurance,toning and building strength.For this exercise you should have to stand straight with your feet hip-width apart and jump in the air pulling feet apart ,both the hands up in the air,go down with hands just in front of feet on the ground while kicking feet back and arms straight like a plank position,jump back to the starting position,and repeat it 8-10 times. 2. PLANK CRUNCHES :-To perform this exercise come in to a plank position with your elbows on the ground and fingers clenched together.After that,push your hips upwards,just the way you do in a downward dog position and come back to the plank position repeating 10 times. 3. PLANK PUNCHES :- For this exercise come in to the plank position with your elbows on the floor,keeping the right hand on the floor,punch from your left hand in the front,perform the same with the right hand and repeat it 20 times with each hand. 4. 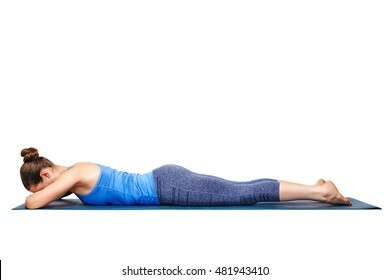 PLANK TWIST :- To perform this get in to the plank position with your elbows on the floor,keeping your body in the same position,start moving from your torso towards your right and left without touching the floor and repeat it 30 times each side. 5. LATERAL JUMPS :- For this exercise,stand straight with your feet together and fist clasped.Jump a little and take your right leg behind your left bending a little from your torso and keeping the left leg at the same position.Do the same on the other side and repeat 10-15 times on each side. 6. JUMPING JACKS :- It is easy to perform and one of the most effective exercises.Stand straight with your feet a little wide apart,taking a jump,open your arms and widen your legs,come back to the starting position.Do this with as high intensity as you can and repeat it for 25 times. 7. REVERSE LUNGES :- To perform this exercise take one leg backwards instead of front,make sure both your knees from an angle of 90 degrees and your back is straight when you are in the position. 8. SIDE HOPS :- Come on your fours and keeping hands at the same position move your lower body with a jump first towards your right hand and then left.It should be repeated for 15 times on each side. Vitamins and Minerals are the basic need for a healthy body.These are important part of our dietary requirements which must be included in our every meal.Like Vitamins,our body needs some important Minerals which can be obtained by eating their food sources.Minerals help the body to grow,provide strength and helpful for blood circulation.Minerals are the best part of proper nutrition.A mineral rich diet helps in getting through the day and manage the cholesterol,blood pressure levels.Getting these Minerals from food sources is the natural ways instead of getting them from mineral supplements. [a] CALCIUM :- Calcium is helpful for a great deal to build and maintain strong bones.It is one of the best important minerals for bone and tooth health.Calcium regulates blood pressure and controls cholesterol levels.Calcium protected from diseases like Insomnia,premenstrual problems and Arthritis.Calcium helps in case of obesity,issues related to the heart,kidney and acidity.Green leafy vegetables,broccoli,salmon and dietary products are calcium rich foods. [b] ZINC :- Foods rich in Zinc are oats,almonds,cashews, kidney beans,chickpeas,yogurt and chicken breasts.Zinc makes body strong enough to heal wounds and fight diseases.Its basic purpose is to immune the body against Eczema,infections,night blindness and prostate disorders.Deficiency of Zinc lead to a poor immune system and even poor sperm quality.So it is the most important mineral when it comes to ensuring a strong immune system. [c] SODIUM ;- Foods rich in Sodium are salted peanuts,pickles,buttermilk,pineapple and watermelon.Salt remainsto be the richest source of Sodium.Sodium is an inorganic mineral that has many functions.It helps in maintaining the level of body fluids.Sodium helps in balancing the blood pressure level of the body when taken in a limited amount.It fuels the nervous system,protects from heat strokes and helps the body to absorb glucose,amino acids and chloride. [d] MAGNESIUM :- Foods rich in Magnesium are fish,avocados,bananas,yogurt,and leafy vegetables.Magnesium is an inorganic mineral which helps the body to function properly through enzyme catalyzed reactions,strengthening bones and maintaining a healthy bone structure,control sugar level and stress free mind,reducing Anxiety.It is an excellent mineral to reduce inflammation and aid to symptoms of insomnia and depression. [e] POTASSIUM :- Potassium helps in processing carbohydrates and building proteins in the body.It ensures that oxygen travels to each organ of the body and that the body gets a healthy cardiac blood flow.It protects from any problems related to the heart.Potassium works its magic on the blood vessels. [f] IRON :- Iron take the most important part to form hemoglobin and increase the number of red blood cells in the body.It helps in proper circulation of blood and oxygenation.Iron helps the oxygen to travel across all organs in the body.Include plenty of iron in everyday diet to prevent anemia and loss of blood cells.Foods rich in iron are Pumpkin-seeds,chicken,chickpeas,oysters and raisins.